Doing a good job means starting with the right foundation and ending with a tidy project. To accomplish this, you need surface preparation tools, which LAX Equipment Rentals is happy to provide. Located on West Florence Avenue at the 405 Freeway, our facility is easy to access. Stop on by to see what we can offer you. Pressure washers allow construction crews to use water to aggressively clean away material and debris, allowing them to leave behind a tidy project or further prepare a surface for work. These machines are about 75 percent more potent than the average garden hose and can be adjusted so they use less pressure for more delicate work. Here at LAX Equipment Rentals, we offer both gas and electric models. In general, construction crews will see better results from gas-powered models as they can use the most significant amount of pressure. However, if a more subtle approach is needed, electric models are an excellent choice. 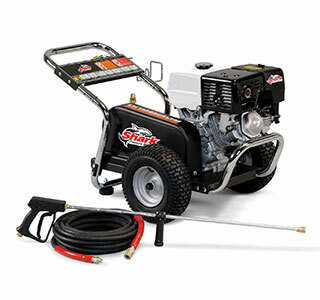 Pressure washers work similar to an air compressor, but rather than forcing out only pressurized air; the machine forces out water mixed with pressurized air. There are five primary components to a pressure washer: the engine, the water container or inlet, the pump, the hose, and the gun. 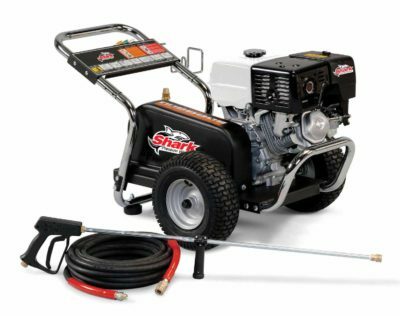 We carry pressure washers with different PSI (pounds per square inch) and GPM (gallons per minute) ratings, allowing you to get the exact power you need.